Do you want to move to new technologies but don’t want to risk production standstills? We offer you an object-oriented, model-based and simulation-validated solution development. Simulations offer protection against downtime when exchanging software components during ongoing operations. An increasing amount of diverse data is being gathered from numerous sources. With the collection of ‘big data’ comes the challenge of managing, analyzing and extracting value from it: Having the right data at the right time and at the right place is crucial to business success – driving innovation, revenue growth and competitive excellence. EU-MDM helps you to address this challenge by giving you quick and easy access to exactly the data you need. 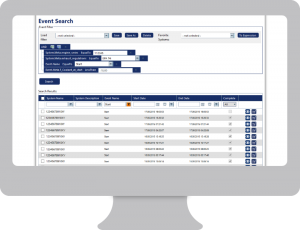 EU-MDM is a modular, web-based solution that can be readily adjusted to your specific requirements, covering the entire range from data collection, efficient data storage and retrieval, powerful data analytics and sophisticated reporting. Data analytics encompasses a variety of methods and techniques (modeling, machine learning, data mining) to analyze data and predict and identify potential issues and business opportunities otherwise non-accessible. The challenge is to extract actionable insight from the huge amounts of data, often collected from various sources and in different formats. 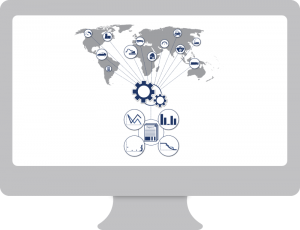 Our all-in-one data handling solutions help you to consolidate, restructure and break down your data silos into useful information that assist product development, identify trends and provide reliable predictions. EUtech has a long lasting track record in the development and application of platform solutions for practical data analytics. Virtual or soft sensors are software sensors in which measurement data from various distributed sources are processed together. Virtual sensors are based on advanced control theory, statistics and (physical) models that extract new quantities otherwise not accessible, affordable or measurable by conventional methods. The approach can be used for control purposes, fault detection, predictive maintenance or the reduction of hardware requirements to name a few. Recent developments include new generation neural networks and machine learning strategies. This exciting methodology throws open entirely new perspectives for product development. Data management is a key factor for successful product development and manufacturing. The quick and transparent access to all relevant data, the coverage of stages of development, the traceability of life cycle information or the simple proof of function has direct impact on cost and profitability. EUtech has extensive experience in the field of data handling and the management of scientific and technical information. We offer modular data management solutions that are tested and honed over many years of work to help you to manage your entire system data. This includes monitoring and control of data acquisition, efficient data storage and retrieval, as well as sophisticated yet easy-to-use post-processing functionality. Reliable condition monitoring is key to predictive maintenance. Efficient data analytics, modeling and machine learning strategies help to monitor the evolution of the state-of-health in machinery and plants. Developing faults can be reliably detected before any serious damage occurs. Similarly, performance monitoring ensures optimal machine and plant operation under varying conditions. A so-called digital twin – which is the model-based replica of the real system – is continuosly updated with measurement data and thus represents the actual state of the system in its relevant dimensions. Variational simulations and optimization strategies can be used to identify and validate optimal operating conditions risk free while the plant is running. You can use our data management and analytics infrastructure and you add your domain specific knowledge. Or we provide a turn-key solution. You decide. All you need is an internet connection and a web browser. 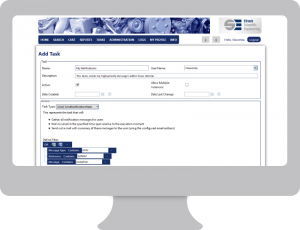 With our data hosting services and our software running at our backend you only need to browse through our EU-MDM web interface to search raw and processed data, generate reports, create scheduled tasks and define your own settings/configurations. Easy to use and not requiring any local installations on your part. We host your data in our own database servers in our facility or in the cloud – whichever you prefer. Contact us for a web tour!